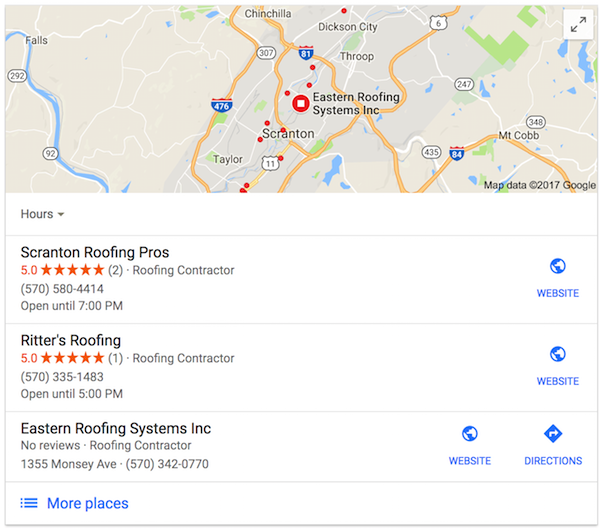 If you’re a bricks and mortar business with a physical location, then you have to be listed on Google Maps. This is a must. You no longer have a choice. You need to place your business details in front of the people who are actively looking for you. 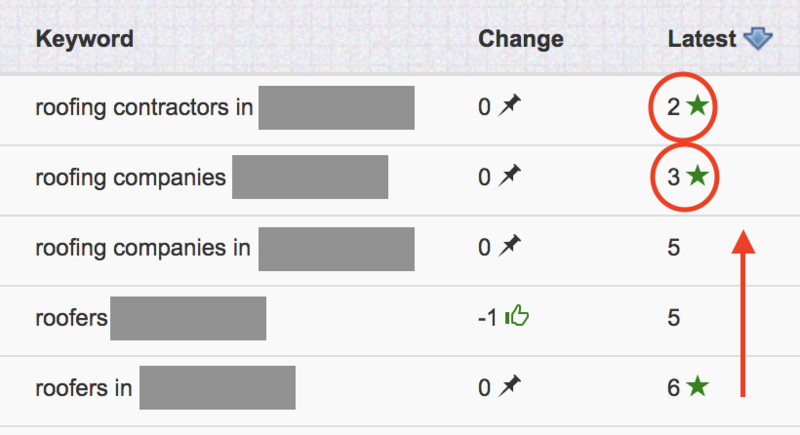 BUT…if you’ve ever looked for a local service online, you’ll see there are literally hundreds of other companies all fighting to get into the top 3 positions of Google Maps, otherwise known as the 3 pack. 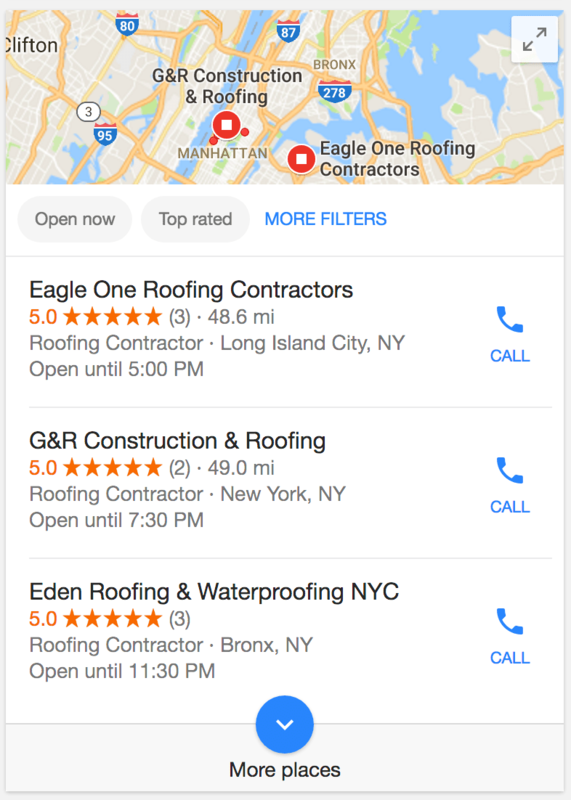 This is what the 3 pack looks like if you search for a local roofing contractor. Utilising years of experience and our expertise in cutting edge SEO techniques, we’ll be able to get your business into the 3 pack. Below is an example of what we’re able to do for your business. Two of the highest searched keywords are ranked both 2 and 3 in Google Maps while the others are on their way there! 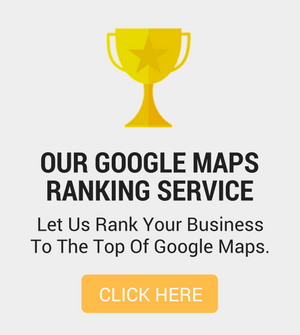 Imagine what it would mean for your business when you’re ranking at the top of Google Maps. This will give your business tremendous exposure and can make the difference between having no business at all and your phone consistently ringing with eager prospects enquiring about your service. When have you ever been able to set up a business and be so assured that your marketing efforts were going to pay off so effectively? Did you know that Google Maps gives you the best return on your investment when compared to any other channel of advertising? How much more powerful would it be if someone who was actively looking for your service had to simply click a button right next to your business details to call you immediately? Because that’s exactly what Google will do for you! Could it get any better? There’s a call button right next to your business name!! Every 1 out of 3 Google searches is a search for a local service/business! And 4 out of every 10 people carry out a local search every day! I hope the penny has dropped. Ranking at the top of Google Maps is incredibly effective and a study has shown it provides the highest return on investment when compared to any other marketing channel such as social media, direct marketing, Google Adwords and print media advertising. We are the experts in Google Maps. Let us rank your business to the top. Google My Business listing service – You get everything that’s included in our done-for-you GMB listing service (click here for more details). Citation clean-up – (Up to 100 citations. This requires a lot of painstaking work to sift through all of your existing citations and update their details if they have inconsistent NAP data i.e. your business Name, Address and Phone number). Several attempts will be made to claim and update each citation. We have a very high success rate of between 70-90%. Once each citation has been corrected we will boost them to help give them more power and let Google know about the changes. Build 20 citations on the top, most authoritative list of directories + 40 citations that are hyper local to your business – Your NAP will also be submitted to the top 3 data aggregators which will help to further syndicate your NAP data across the internet. Build citations to match your competition -After carrying out a citation competition audit of your top 5 competitors (part of our GMB Listing service), we will know exactly which directories your competition have been using for their citations. We will then match those directories. Blast aside your competition with a powerful Google Stack – This is an incredibly effective and advanced technique which will provide enough power to destroy your competition and help boost your map rankings. Build a powerful MyMaps stack – Another advanced tactic your competition won’t have any clue about! They’ll be wondering what on earth just happened. 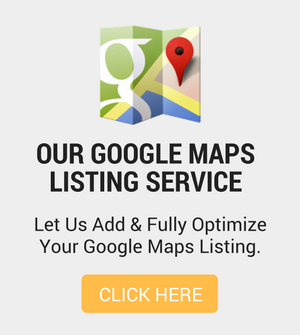 If you’d like to find out more about our highly effective Google Maps ranking service, please use the form below and we’ll get back to you as soon as possible.